It can’t be easy to go through life without ever meeting a stranger, but somehow Adele Broughton pulls it off. This ability to build instant friendships is second only to her talent for seeing the potential in homes. And don’t let her Alabama accent fool you, Adele has called Dallas her home for over 25 years. Adele attended the University of Alabama. She has a Bachelor of Accounting with highest honors. Adele is a CPA and was a tax accountant with Ernst & Young for eight years prior to working with a former client, Southern Progress Corporation, as a marketing director for the Southern Living book division. Adele then found selling a different kind of real estate: advertising space. As the southwest sales manager for such prestigious magazines as Town&Country, Country Living and SmartMoney, she earned her clients’ trust and respect by generating creative solutions and sustaining an impeccable work ethic. 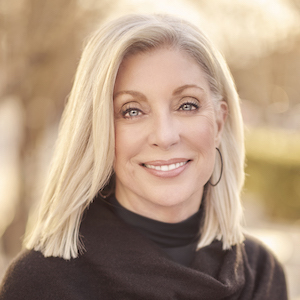 Prior to honing her talent as an Account Executive for National Cable Communications, she used her local knowledge and and appreciation of Dallas as a member of the sales team responsible for launching D Magazine. Yet, as rewarding as her 17 year advertising sales career was, Adele found her true calling in real estate. Adele is completely dedicated to everything she does. One of her strongest passions is devoting her time and support to Jubilee Park & Community Center. From serving on the board of the Women of Saint Michael at Saint Michael and All Angels Episcopal Church and the Preston Center Rotary Club to supporting the Kappa Kappa Gamma Alumnae Association, she’s constantly giving back to the community that gives her so much joy. Adele is also a sustaining member of the Junior League of Dallas. She is an avid runner, having run several marathons, and loves to garden. Adele would love to work with you on finding your dream home or use my 25 years of sales and marketing to sell yours.